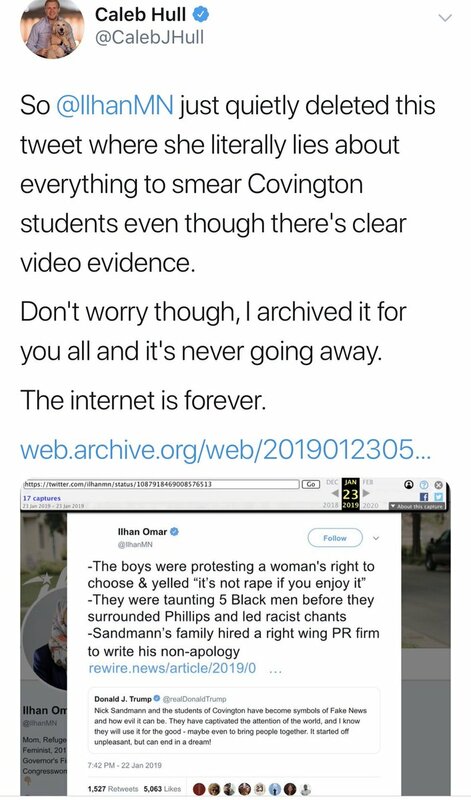 - Multiple students from Covington said they don't know the kid who shouted that and he doesn't go to their school. Regardless, the kid said it in response to racist taunts from the Black Hebrew Isrealites as a joke. -The students were taunted by the "5 Black men" and called "crackers" and other racial slurs and Nathan Phillips aggressively walked into them to bang a drum inches from Nick Sandmann's face and loudly chant. -He was up against the entire lying media smearing him 24/7. His family hired a firm to help them defend themselves from a torrent of smears by multi-billion dollar news organizations. His apology was excellent and it was even better that he refused to apologize. 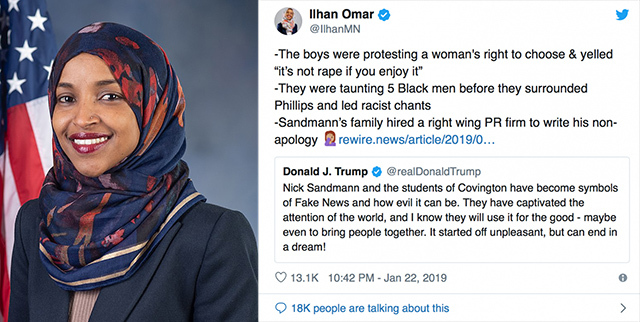 Omar deleted the tweet by late Wednesday morning after being widely mocked and threatened with a libel suit. Can anyone make sense of this gibberish? 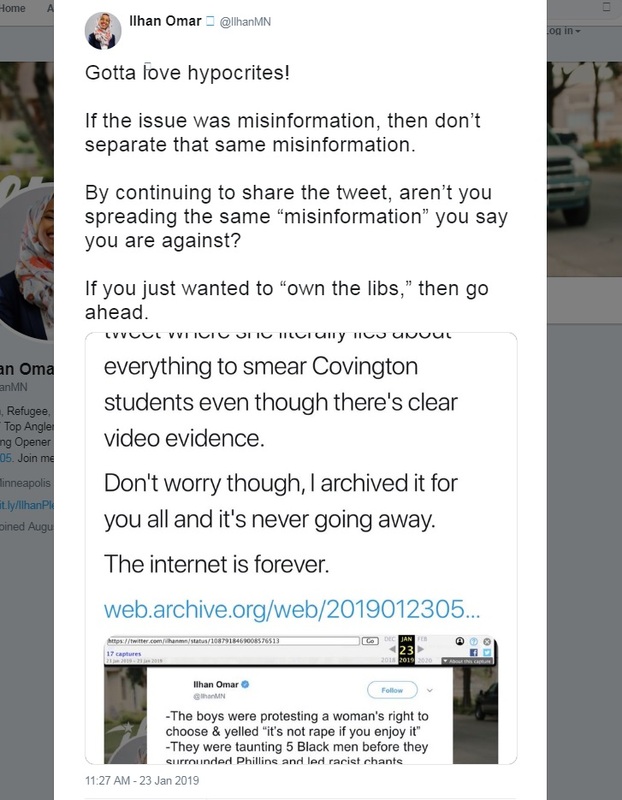 She seems to believe she caught Hull being a "hypocrite" because he shared her tweet which he believes is misinformation in order to "own" her. She later deleted that tweet too. One thing we know for sure: Omar is still writing her own tweets! Let's hope she never lets a Democratic PR firm take over her account!